A furious rant by a woman trying to shame a Trump supporter at a Palo Alto coffee shop was posted online and went viral this week, and now the woman at the center of the rant and post has lost her job. The woman, who posted the incident on Facebook under the user name Parker Mankey, admitted she was trying to publicly shame someone for wearing a "Make America Great Again" hat. She confronted the man at a Starbucks and vowed to expose his personal information so other people could track him down and shame him too. Richard Johnston, one of the owners of a nearby music shop called Gryphon Stringed Instruments, identified the woman as one of his employees, Rebecca Mankey, who worked as his store manager and accountant for four years. He fired her Tuesday after he found out about the Starbucks incident. In the Facebook post, Mankey wrote in detail about yelling and cursing at a man named Victor, who ended up leaving the coffee shop but not because he felt threatened, he said. "This woman comes over, and she says 'Is that a Trump hat?' I said, 'I think it is, yes.' And then she turned to the rest of the audience, the people in Starbucks and said 'Hey, everybody! Come over here! Let’s get this guy! He’s a hater! I’m calling him out! He hates brown people. He’s a Nazi," Victor recalled. Mankey's Facebook post describes a similar story to Victor's, and it adds a response to another user that she is going to protest outside Victor’s work and "make him feel as unsafe as he made every brown person he met today." 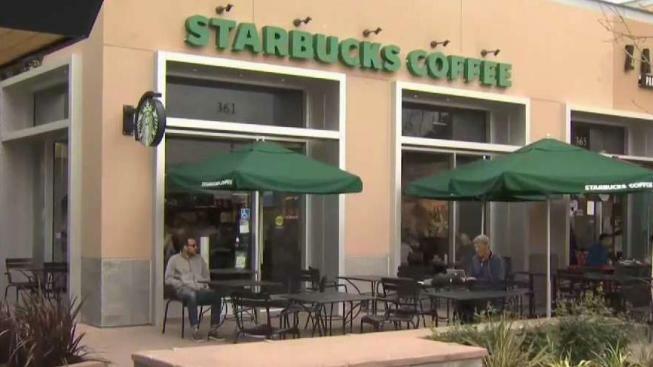 "I’m surprised that someone would go that far," Starbucks customer Aliza Ben-Baruch said. "I think it’s a little bit telling of their mental state." NBC Bay Area tried to contact Mankey for comment but was unsuccessful. The Parker Mankey Facebook page has been deactivated. "I feel bad someone gets fired from their job, but that’s the way it is between her and her job," Victor said.